New year holiday according to astronomical solar calendar in Iranian and Turk people. Iranian and Turkish people celebrate the new year on March 21 according to astronomical solar calendar. In some countries it is a public holiday. These include, for example, Azerbaijan, Tajikistan, Albania, India, Kyrgyzstan, Turkey, Macedonia, Uzbekistan and Turkmenistan. Widely celebrated Navruz in the Kurdish region of Iraq and some regions of Russia (Tatarstan, Bashkortostan, Dagestan, Xinjiang Uygur Autonomous Region). 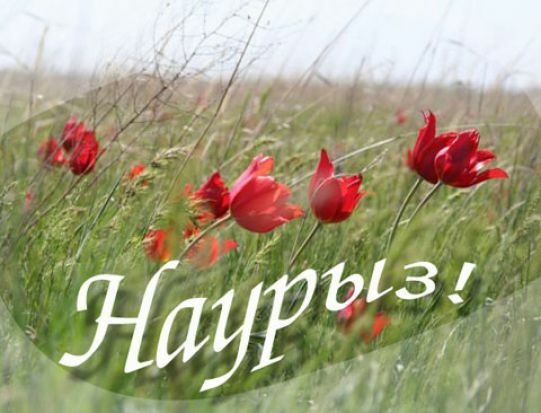 In Kazakhstan, on the occasion of Navruz for holidays given three days - 21, 22 and 23 March. As an international day Navruz its task to promote the objectives of solidarity and peace both within the family and between generations. It is also contributes to good neighborly relations and reconciliation, which in its turn contributes to the strengthening of friendship between different communities, people and the preservation of cultural diversity. In 2009, Navruz was included in the Representative List of the Intangible Cultural Heritage of Humanity and a year later, the UN General Assembly recognized March 21 as the International Day of Navruz.